On the 3rd (beginners) and 4th (intermediate) Wednesday of each month Spectrum art group meets from 9.30 am – 12.30 pm. Whatever your ability there is help and encouragement sharing with this non-competitive, friendly, enthusiastic group of men and women. 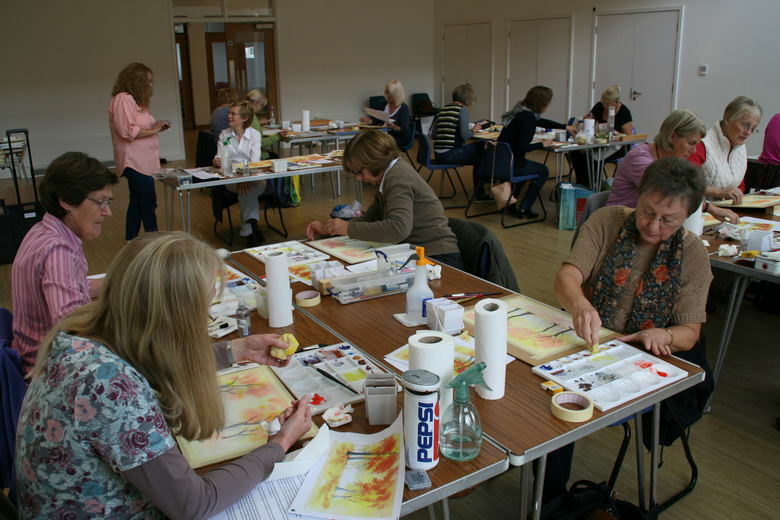 Each month a painting is completed with demonstrations and guidance from Gill Esam. All materials are provided and everyone is welcome. Check our online diary for any changes to these dates.